I already have a sticky date pudding recipe here on What's Cooking Ella, it's delicious, it's small, it's simple to make, so why then do I need another sticky date pudding recipe on here you ask. Well, because this one to is delicious, it's simple to make, but most importantly, it's huge, this is my party version of a sticky date pudding. The cake alone is delicious, it's soft, it's tasty, it can be made ahead of time and it will serve about 20 people. The butterscotch sauce again, is tasty, can be made ahead of time and if you have any leftover, is delicious with vanilla ice cream. 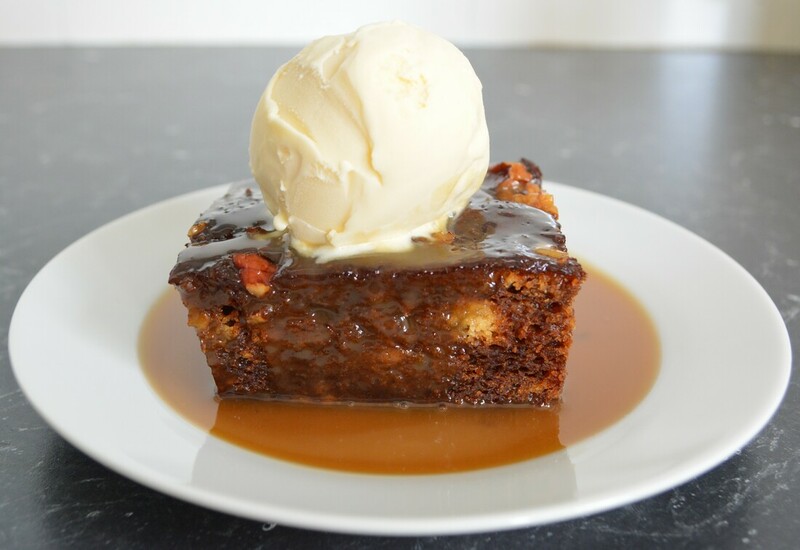 I normally don't love sweet desserts, but sticky date pudding, that is my exception, I love it, I love everything about it, I really love it with a scoop of vanilla ice cream. Now I usually make this cake in the morning of a party, then just reheat the sauce just before serving. But you can make it up to two days in advance, then close to serving wrap the cake in aluminium foil and warm through in a moderately slow oven (160C/140C fan forced) for approximately 20 minutes, or simply microwave individual servings. This is simple, tasty and your family and friends will love it. Preheat the oven to moderate (180C/160C fan forced). Grease a 25cm x 35cm rectangular baking dish. Line base and sides with baking paper, bringing paper 5cm above edges of dish. Combine dates and water in a medium saucepan; bring to the boil. Remove from heat, add bicarbonate of soda, stand for 5 minutes. Blend or process until smooth. Cream butter and sugar in a large bowl with an electric mixer until well combined. Beat in the eggs, one at a time, beating until just combined between each addition. Stir in the sifted flour. Stir in the date mixture, mix until combined. Spread mixture into prepared pan, sprinkle evenly with the nuts. Bake in a moderate oven for about 1 hour or until cooked when tested. Stand cake for 10 minutes before turning onto a wire rack. Butterscotch Sauce: Combine all ingredients in a medium saucepan; stir over heat, without boiling, until sugar is dissolved. Simmer, stirring, for 3 minutes. 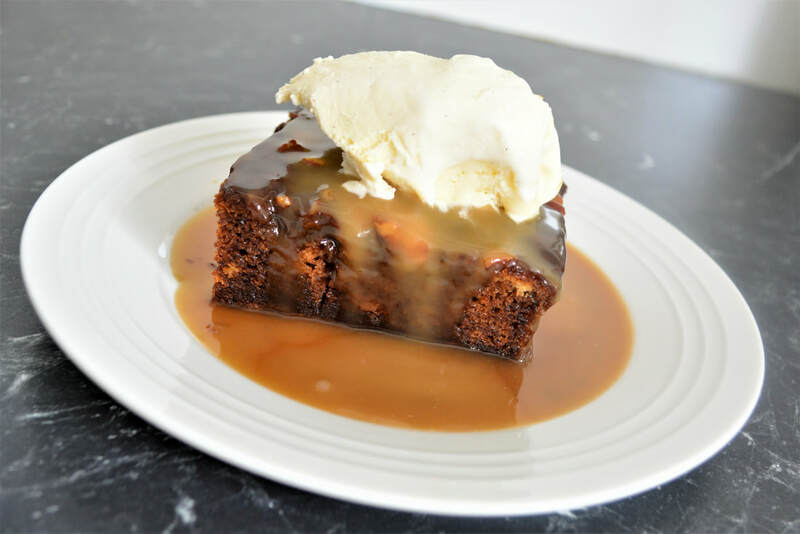 Serve cake warm with the butterscotch sauce and a scoop of vanilla ice cream.